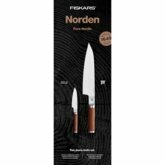 Fiskars Norden knives are made from premium materials according to traditional Finnish knife making methods. 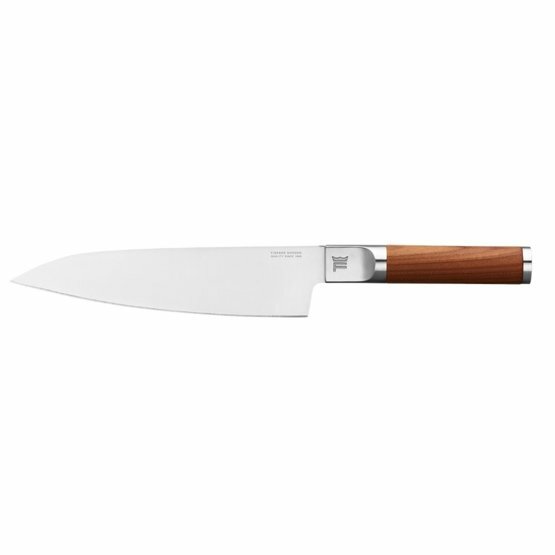 Norden Large Cook's knife is an excellent, sturdy all-around knife for all cutting tasks. The premium quality blade is made of high-performing, high carbon German steel, which ensures superior performance and long-lasting sharpness. Excellent sharpness is further enforced by the optimal 26˚ sharpening angle. The knife handle is crafted from Finnish heat treated birchwood, making the knife both very comfortable and naturally beautiful. Blade hardness HRC 56. Hand washing recommended. Made in Finland.